Main Street Henderson has received national recognition from the Texas Historical Commission for its successful annual progress as a designated Main Street Community. National accredited Main Street cities show above average performance in ten categories on an annual report. Selection criteria focus on planning, partnerships, staffing, volunteer effort, preservation ethic, training and program assessment through reporting. 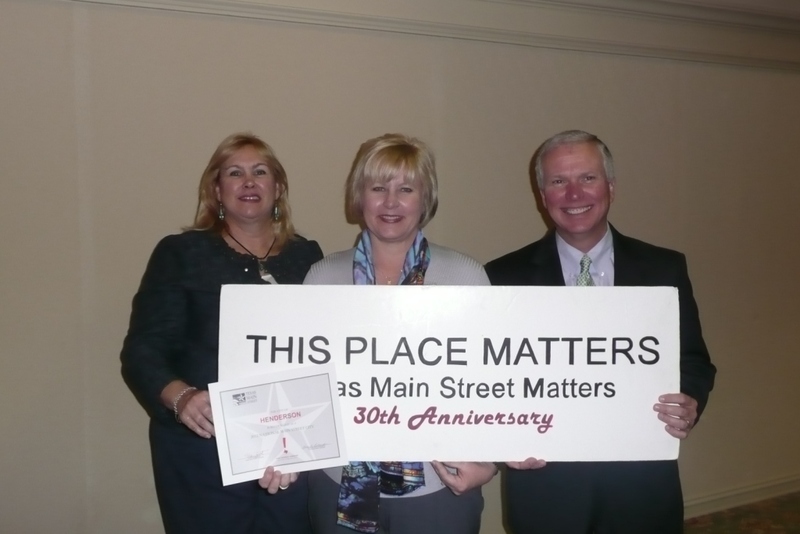 2011 Main Street Coordinator Cyndi Walker is presented with Texas Main Street National Recognition.